Join our all ages community pigmenting party and help us create The Blue Trees installation at Simons with Vancouver Biennale artist Konstantin Dimopoulos. Receive your own blue tree sapling to take home! RSVP Here to reserve your tree. 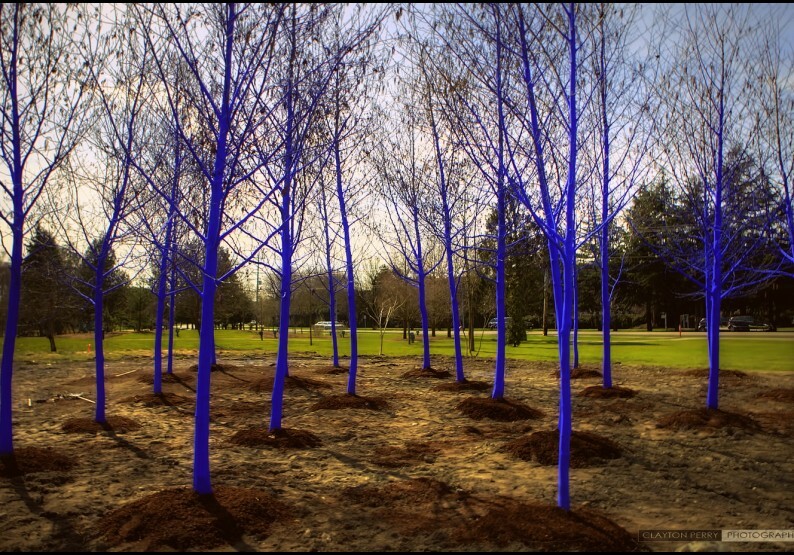 Help The Blue Trees artist, Konstantin Dimopoulos, pigment over 80 trees that will be planted throughout Park Royal. To celebrate Simons’ 175 anniversary, the first 175 participants to register will receive a commemorative t-shirt and a potted Blue Tree sapling to take home. Simons is a 175-year-old family-owned fashion retailer from Quebec that is opening its first Vancouver store at Park Royal on October 15, 2015. Simons is a proud supporter of local arts organizations like the Vancouver Biennale. The Vancouver Biennale is a non-profit charitable organization that celebrates art in public space, creating a catalyst for learning, community engagement and social action.